Here in Los Angeles, it feels like there’s a new poke spot popping up every week. 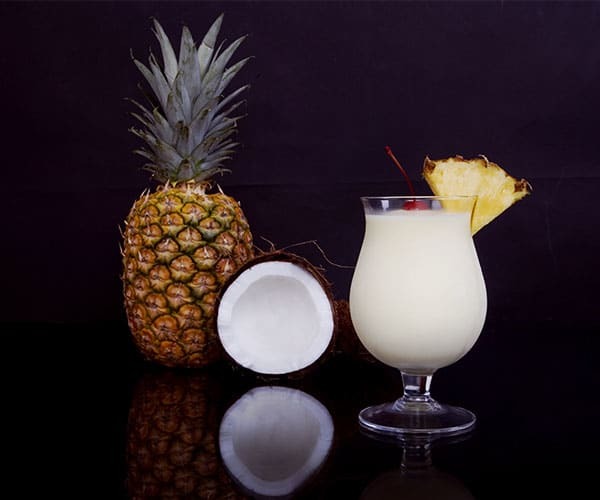 But this isn’t the only Hawaiian recipe that’s made it to the mainland. Spam musubi is starting to become a more popular menu item as has loco moco, a dish that typically features white rice topped with a hamburger patty, fried egg, and gravy. 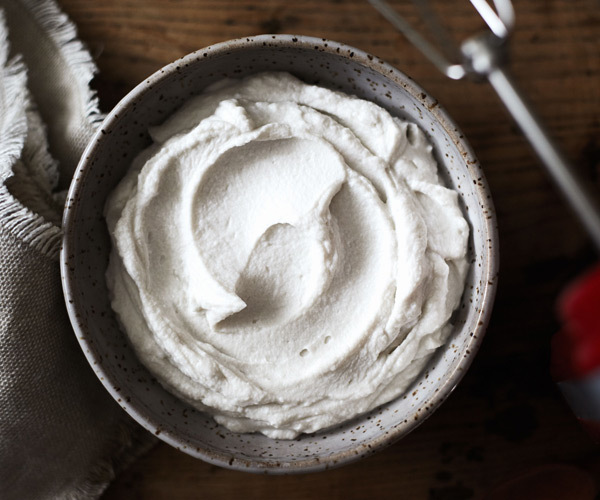 Hawaiian recipes are delicious, but they’re certainly not all healthy. 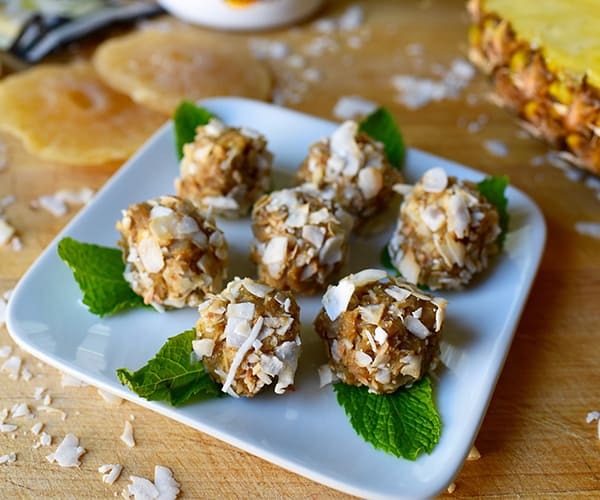 But, with the tropical flavors of pineapple and coconut to glazes made from ginger and bright citrus, there is plenty to choose from that’s healthy in Hawaiian cuisine! 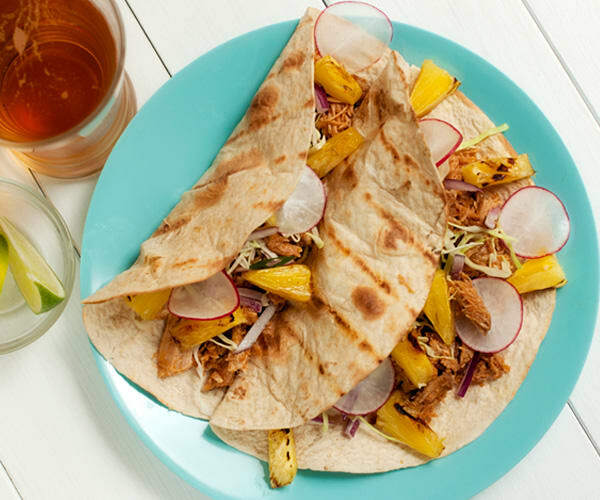 To help you enjoy some of Hawaii’s traditional dishes — as well as some Hawaiian-inspired ones — while sticking with your healthy meal plan, we collaborated with food bloggers to create a collection of 35 Hawaiian recipes we think you’ll love. 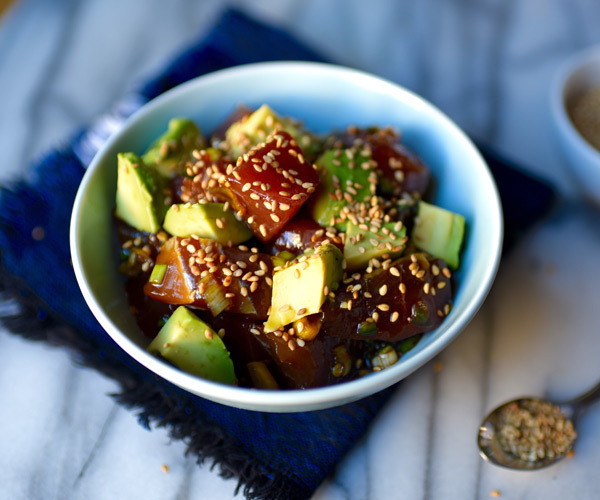 This Tuna Poke with Avocado recipe is a dish inspired one of Hawaii’s most popular recipes. 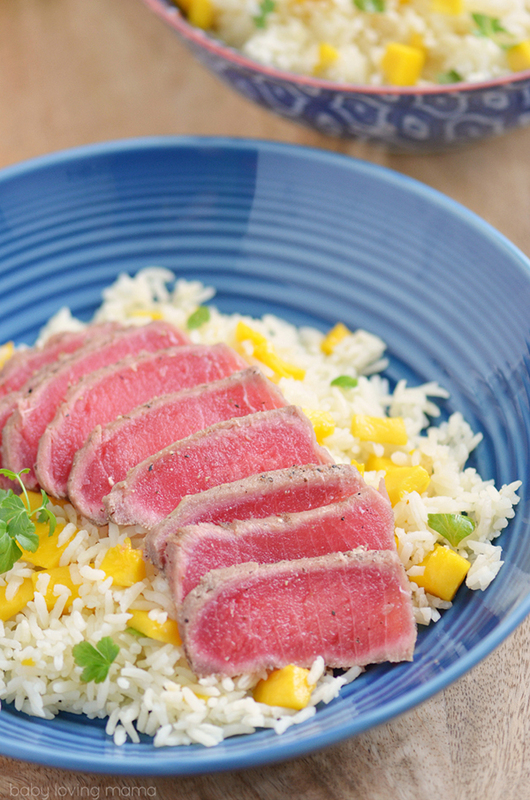 Start with super fresh fish and you’ll find this quick, no-cook dinner comes together in no time. Portion Fix Containers: 1 Red, 1 Blue, 1 tsp. 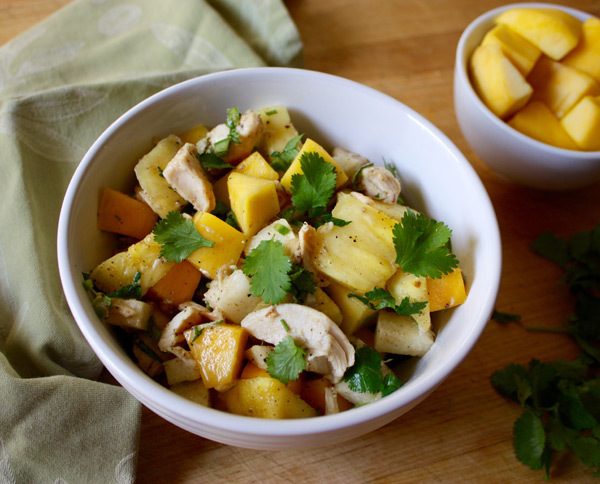 This Tropical Salad with Chicken and Mango packs a punch. 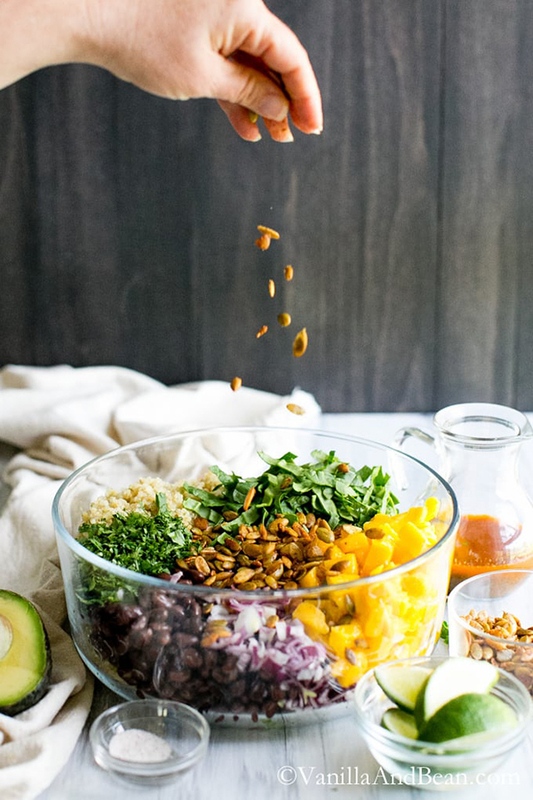 Chili powder, cumin, and serrano chile play opposite the sweet Hawaiian-inspired flavors in this protein-packed salad. Portion Fix Containers: 1 Green, ½ Purple, 1 Red, 1 Blue, 1½ tsp. 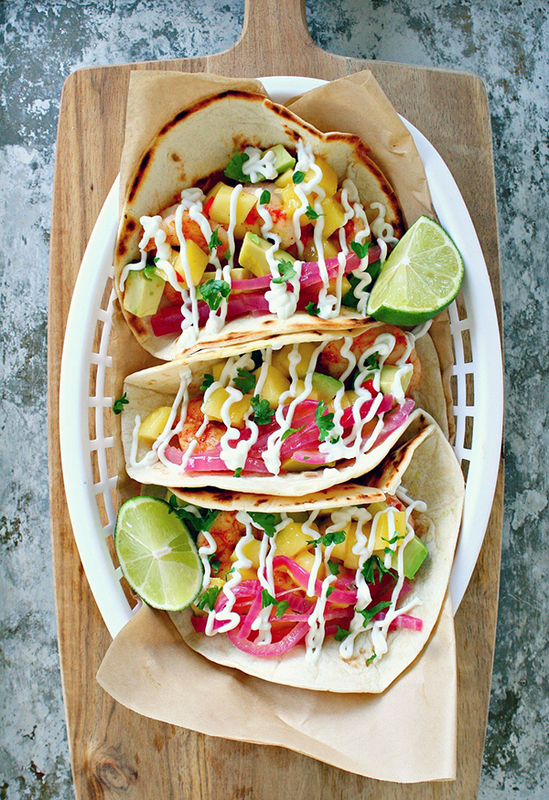 Tender and juicy shrimp tacos are dressed in Greek yogurt, tangy lime juice, and topped with a zesty Mango Habanero Salsa for a Hawaiian-inspired meal you won’t soon forget! Portion Fix Containers: ½ Purple, ½ Red, ½ Yellow, ½ Blue, ½ tsp. 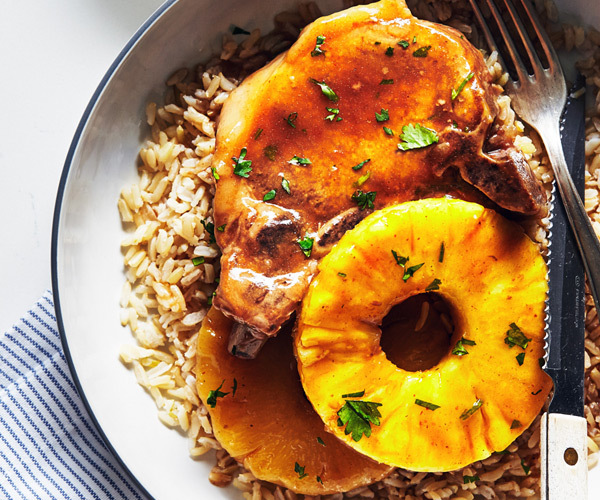 This is the quintessential Hawaiian Pork Chop recipe. 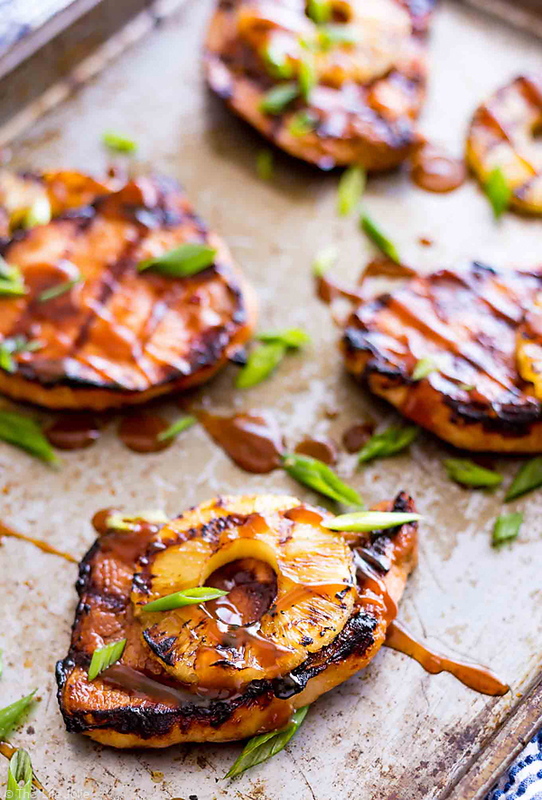 Grill juicy pork chops to perfection, topped with grilled pineapple, and dress with a decadent soy ginger glaze. 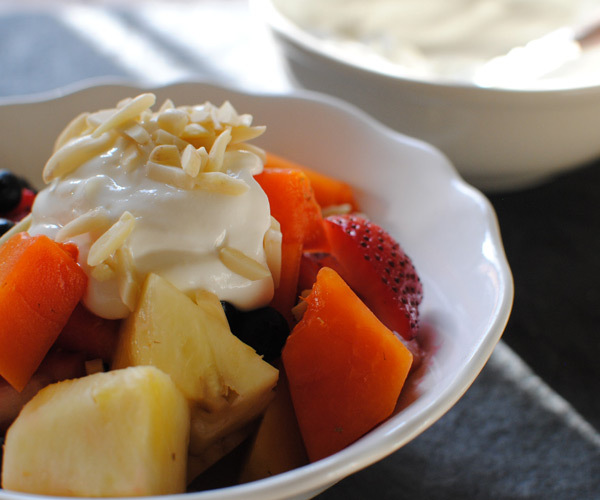 Portion Fix Containers: 1 Red, 2 Yellow, ½ tsp. 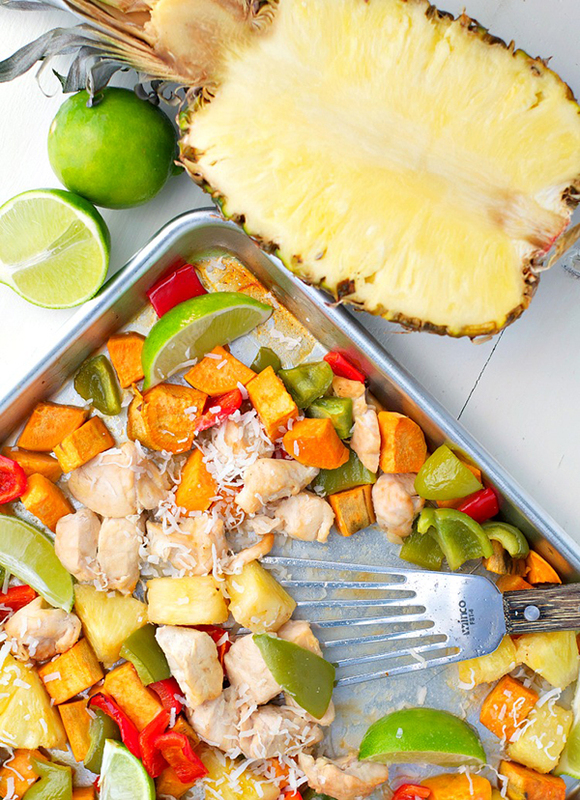 For lighter Hawaiian fare, consider this succulent chicken salad made with a pineapple honey marinade and a bright Cilantro Lime Vinaigrette. Portion Fix Containers: 1 Green, 1 Purple, 1 Red, ½ Yellow, 1 Blue, 1½ tsp. 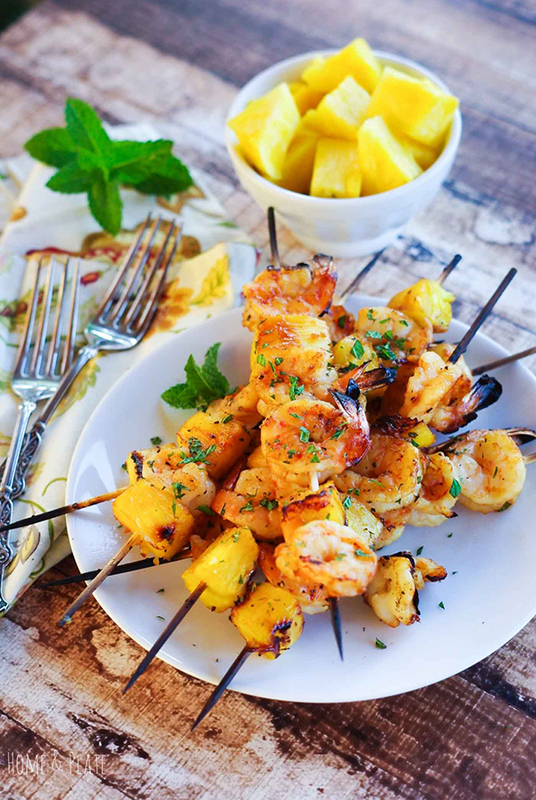 A sweet garlic marinade gives these grilled shrimp a flavorful head start. 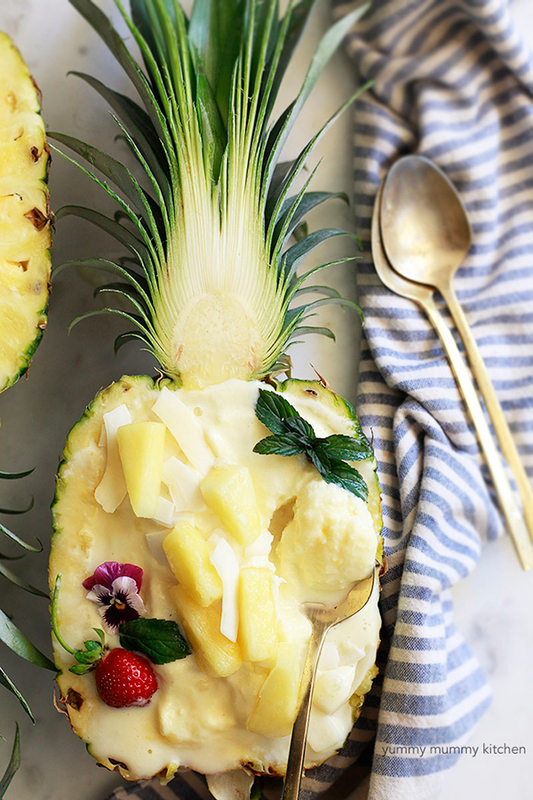 Juicy pineapple and fresh mint seal the deal. Portion Fix Containers: ½ Purple, 1 Red, ½ tsp. 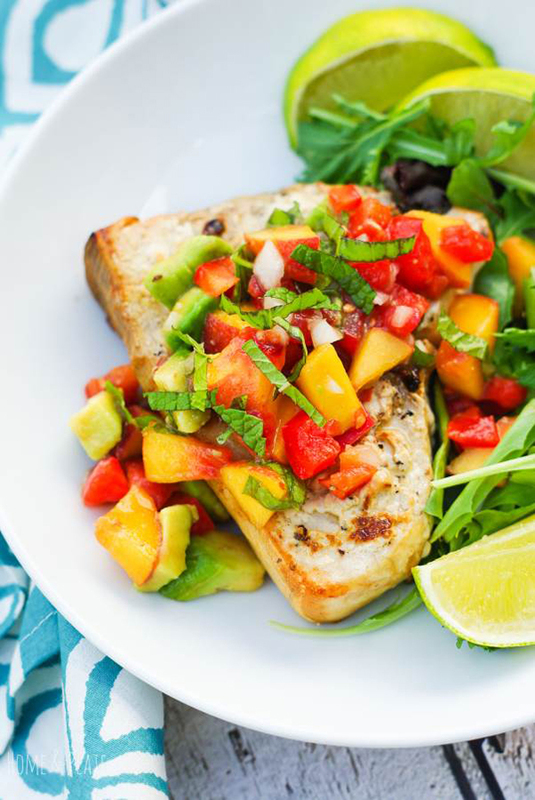 Spark up that BBQ, because this tender, flaky swordfish is best served lightly grilled and topped with a citrus peach salsa that’s fit for a luau. Portion Fix Containers: 1 Green, 1 Red, 1 Blue, 1½ tsp. 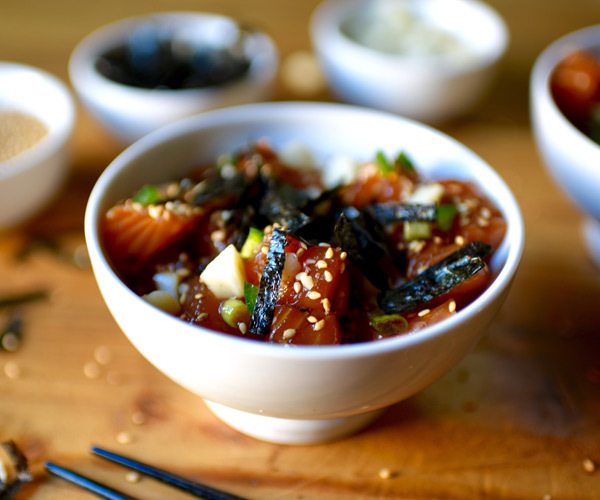 Refreshing and bursting with umami goodness, this traditional Hawaiian recipe for Salmon Poke with Macadamia Nuts captures the essence of some of Hawaii’s most popular flavors. Portion Fix Containers: 1 Red, ½ Blue, 2 tsp. 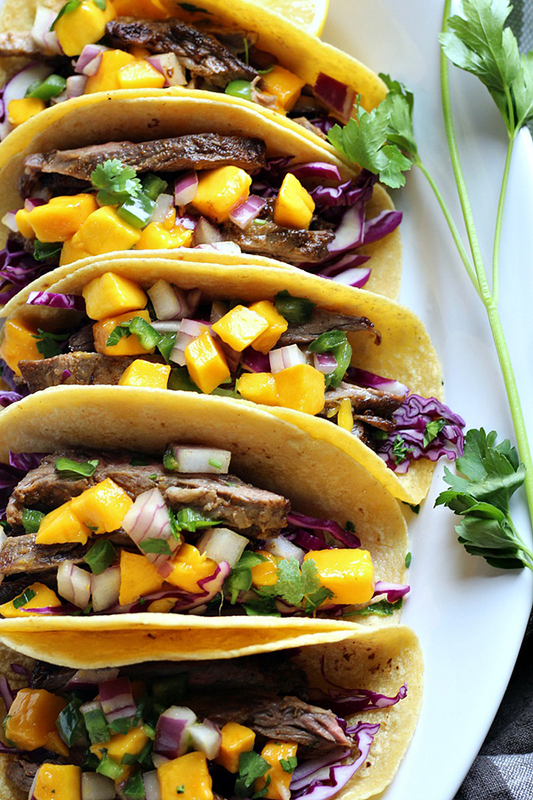 These Hawaiian-inspired tacos feature tender skirt steak, nestled in soft tortillas and topped with a sweet and savory mango salsa. Portion Fix Containers: ½ Green, ½ Red, 1 Yellow, 1 tsp. 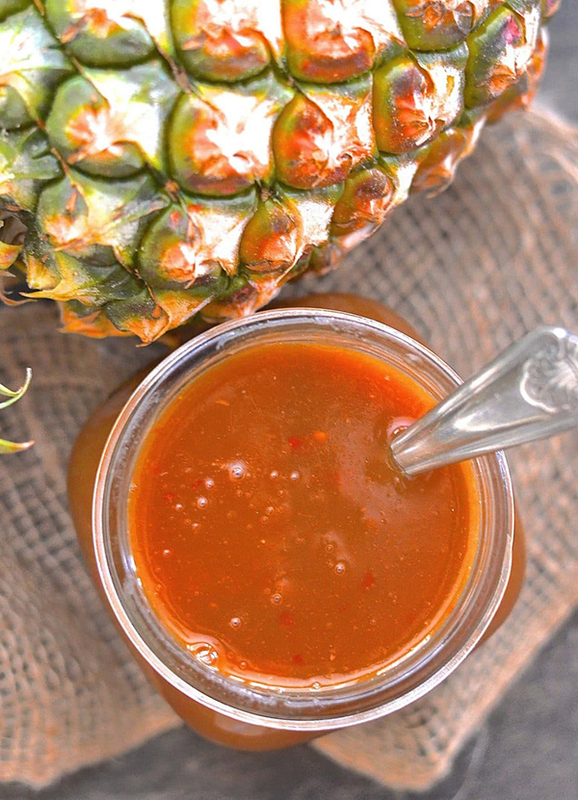 When it comes to island cooking, it’s all about the marinade. 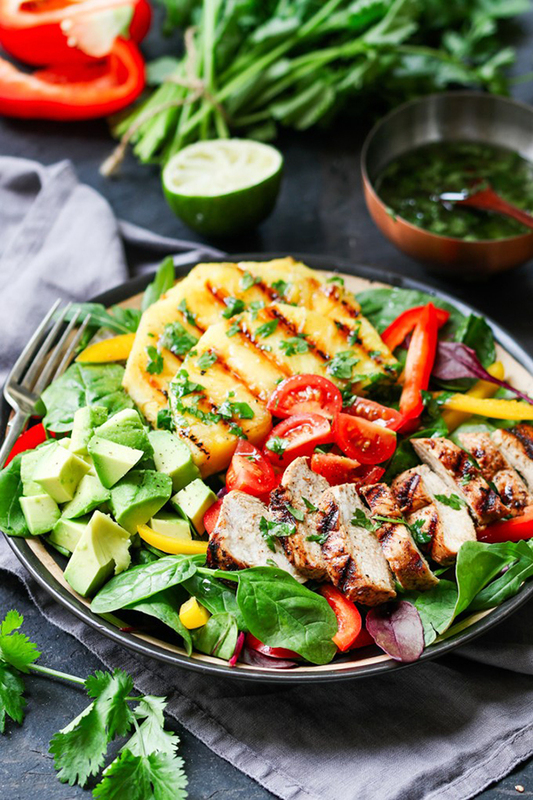 These Grilled Hawaiian Pork Kabobs are bathed in an exquisite blend of pineapple, ginger, chili, and soy sauce. 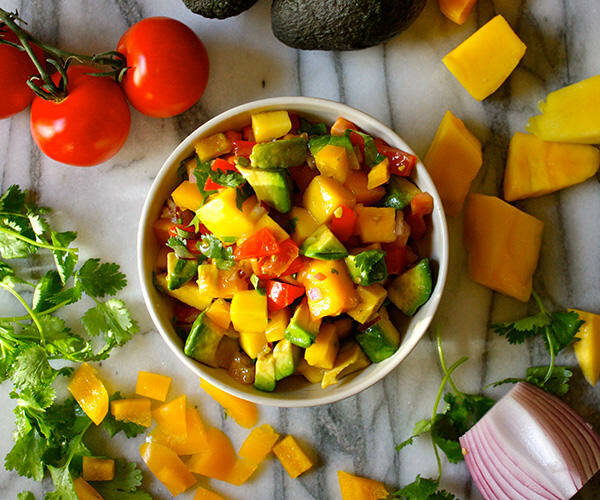 Portion Fix Containers: ½ Green, 1 Red, 1 Yellow, 1 ½ tsp. 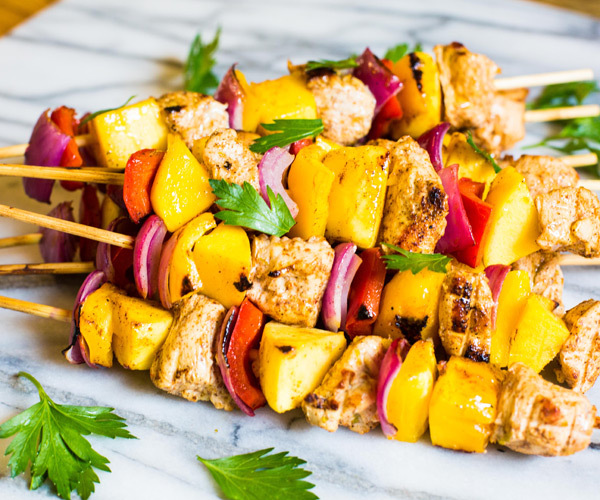 These mouthwatering Mango Chicken Skewers give sweet heat a whole new meaning. 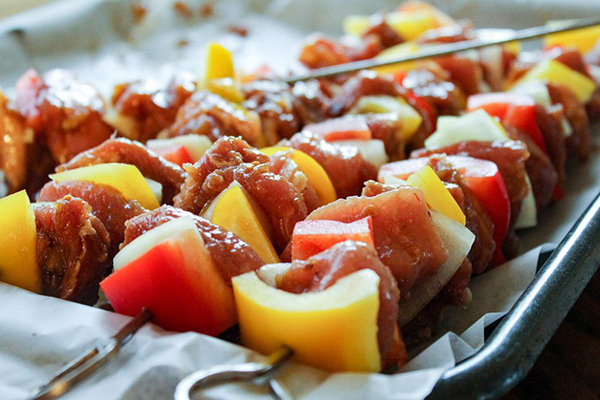 For a double dose of Hawaiian flavor, they’re steeped in a chili lime marinade then coated generously with a Honey Garlic glaze right on the grill. Portion Fix Containers: 1 Green, 1 Purple, 1 Red, ½ tsp. 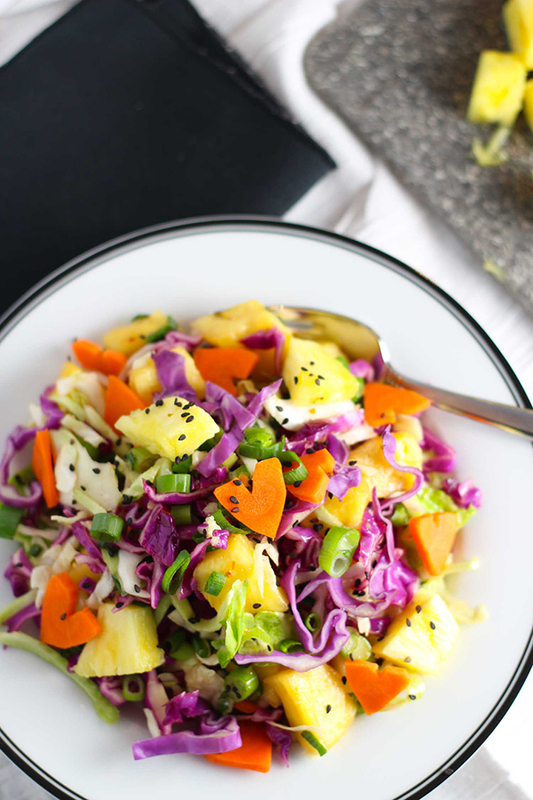 This Hawaiian-inspired salad makes for a hearty side. 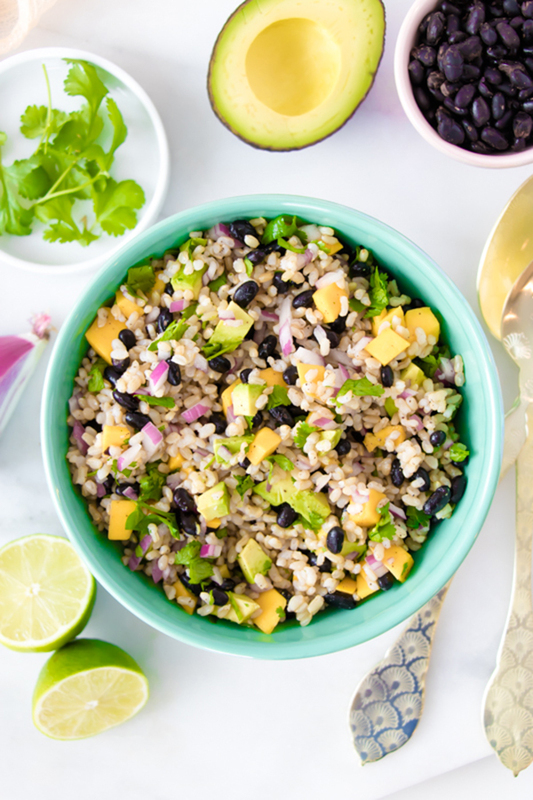 Beautifully balanced with black beans, quinoa, and a savory chipotle lime dressing, this tropical salad is robust enough to serve as a main. Portion Fix Containers: ½ Purple, 2 Yellow, 1½ Blue, ½ Orange, 2 tsp. 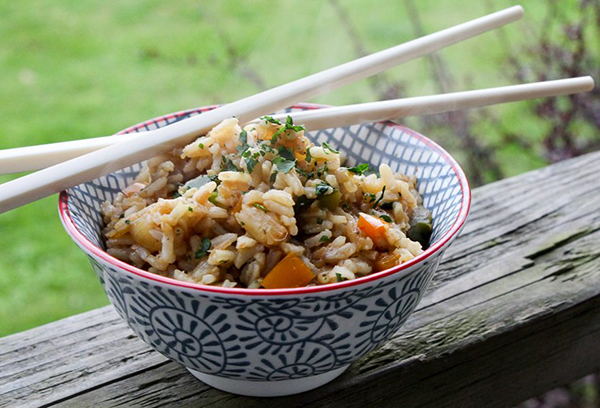 Fresh garlic and ground ginger give this Pineapple Pepper Fried Rice a wave of flavor. 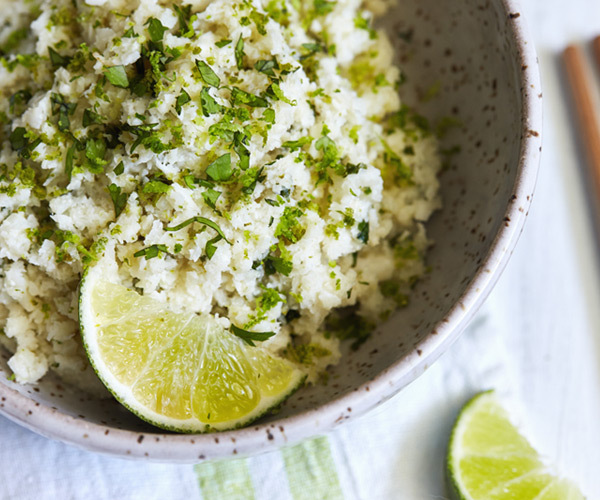 Portion Fix Containers: ½ Green, 2 Yellow, 1 tsp. 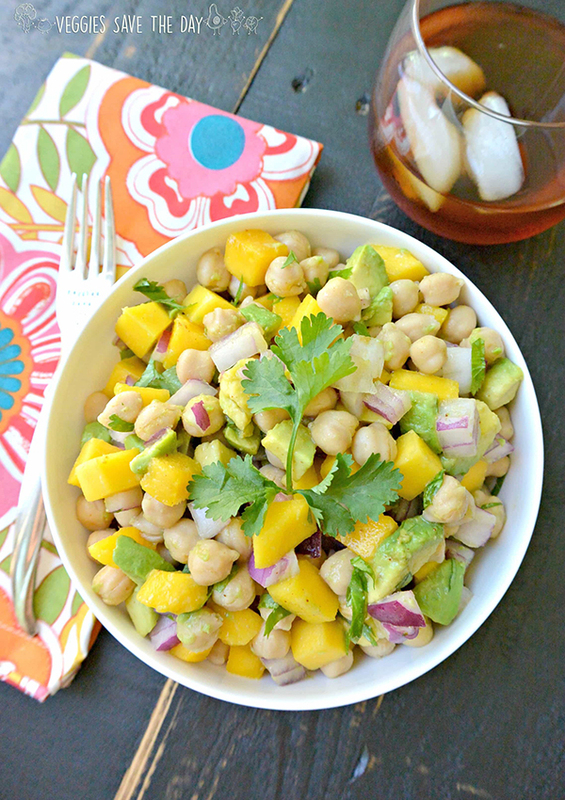 Tangy citrus, fiery chile, and fragrant cilantro create a flavor trifecta in this Hawaiian-inspired Tropical Chickpea Salad. Portion Fix Containers: ½ Green, ½ Purple, 1 Yellow, 1 Blue, 1 tsp. 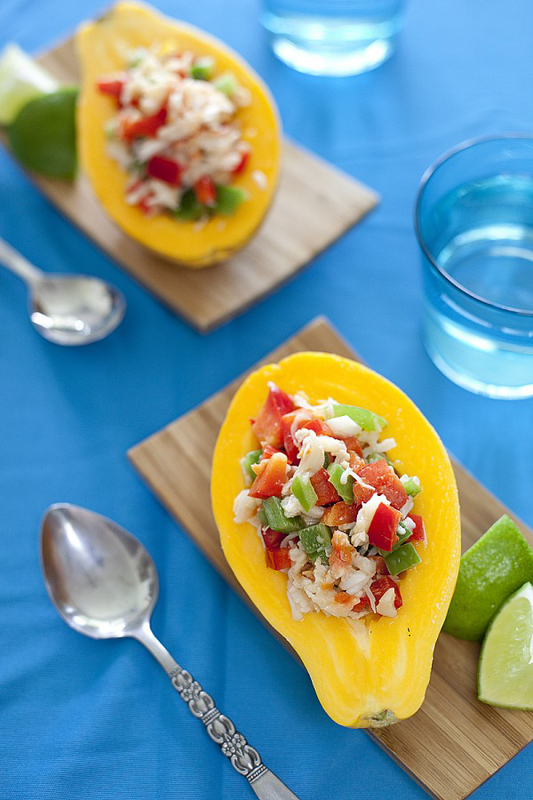 This Hawaiian-inspired Crab and Papaya Salad is served right inside a beautiful, ripe Hawaiian papaya. Portion Fix Containers: 1 Green, 1 Purple, ½ Red, ½ tsp. 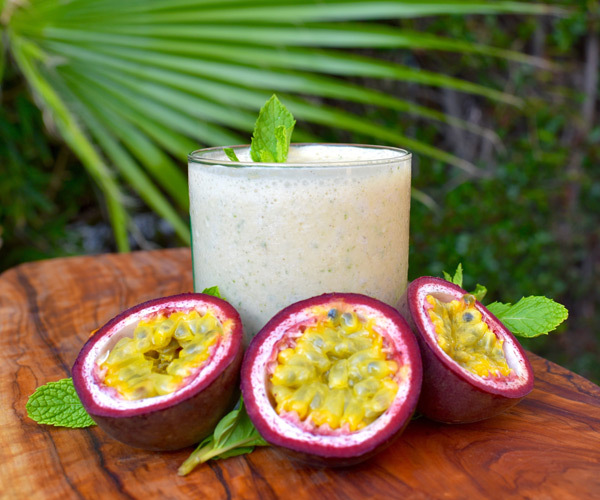 This vegan Green Chia Pudding looks like it gets it’s green color from kiwi, but it really comes from a healthy serving of spinach (shhh we’ll never tell). 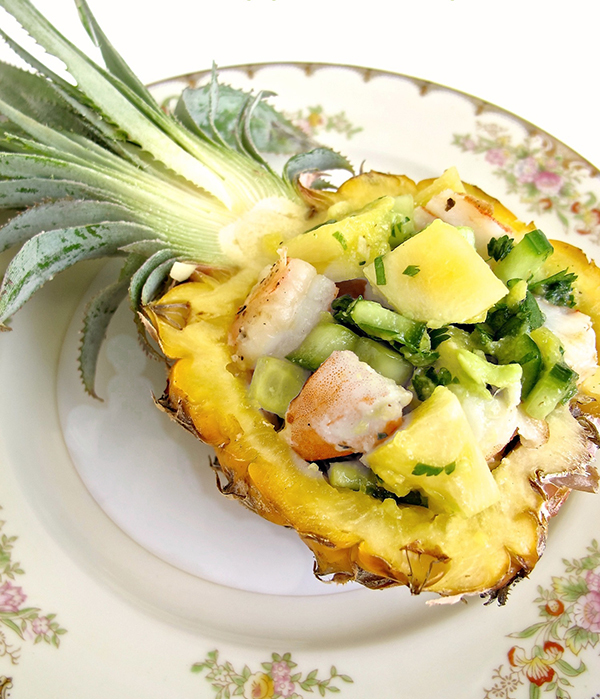 With a mound of tropical fruit on top, this is one Hawaiian-inspired recipe that’s sure to impress at your next luau. 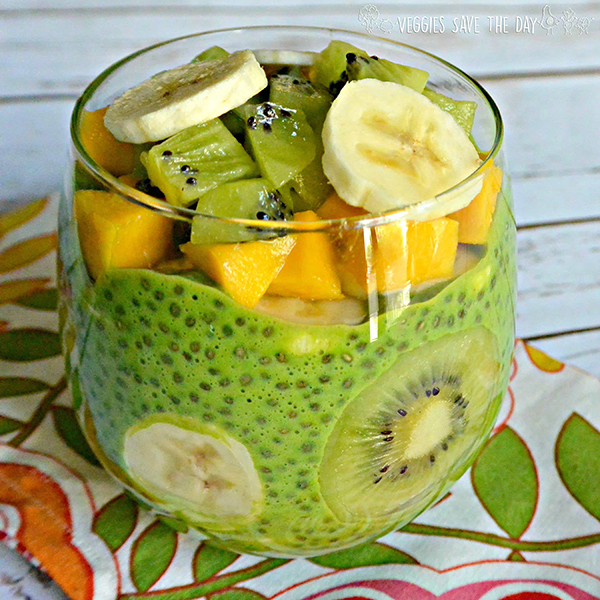 Portion Fix Containers: 1 Green, 1½ Purple, 1½ Orange, 1 tsp. 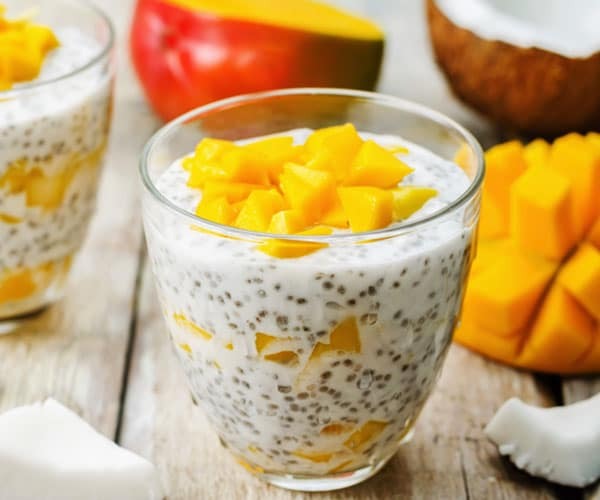 Raw honey and coconut milk give this Coconut Mango Chia Pudding a creamy decadence. 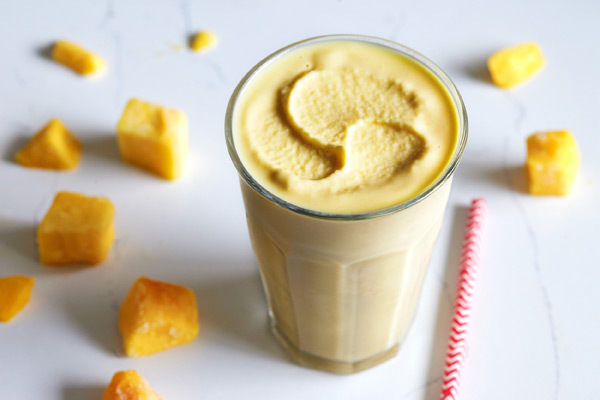 Add chia seeds and mango for a nutritious Hawaiian-inspired dessert you’ll want to make again and again. Portion Fix Containers: 1 Purple, ½ Yellow, 1 Orange, 1 tsp. 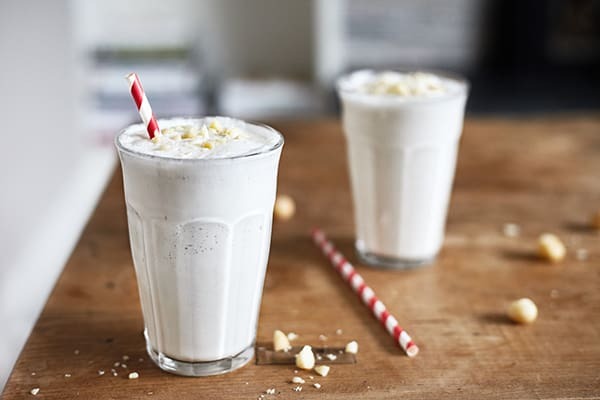 This White Chocolate Macadamia Nut recipe tastes just like a soft, gooey cookie, except this dessert is good for you! Portion Fix Containers: 1 Red, 1 Blue, 1 tsp.